The Uncarved Block is one of the primary metaphors for the concept/anti-concept known as wuwei. The Daodejing suggests that we be like an uncarved block of wood. The implication is that once a block of wood is fashioned into something, it loses it’s potential to be something else. Once we make a decision, it cuts off certain options. In other words, it is often good to wait. But the Daodejing isn’t telling us to be indecisive. It doesn’t say, “in difficult situations--waver!” It also doesn’t say be slow, like a tree; or “be inactive,” like a log or a stump. It says be like a partially processed block of wood. Since the Daodejing doesn’t give us any idea how big this block of wood might be, or what it might be for, we can speculate. Our block of wood could be carved into any sort of deity or icon, or perhaps a boat, a cabinet, a ladle, or a coffin. The Daodejing is using this metaphor to point to a process which takes place when we make something. It is not saying, “Don’t make stuff.” Sometimes a decision can position us for more possibilities, sometimes a decision can limit us. Is this better than that? Be comfortable with ambiguity, but have a few uncarved blocks hanging around in case you need them. There are a couple of other ways to look at this too. A block of wood is simple, a block of wood has no preferences, a block does not calculate it’s advantages. A block of wood can be an image of innocence, and of embracing the unknown. The process of carving a block changes our nature as human beings. It changes the carver. 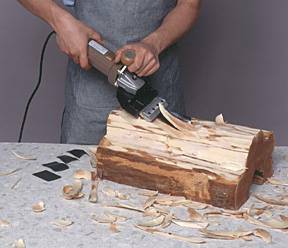 Carving is a skill which requires particularly fine motor control, and a very specific sense of three dimensional mental imaging. It is a sort of trance. A sharpened focus. It creates patterns of conditioning in our bodies and habits of mind. Thus, the concept/anti-concept of wuwei is not a method. It is a challenge to the type of thinking which looks at everything as a method. Yes, this type of method might be better than that one. But methods are just vehicles for transforming a vision into an experience--a result...in process. A method always comes from something, like an uncarved block, and always gets discarded in the end. Making and measuring is an aggressive mind-set which easily causes us to loose sight of the bigger picture. Internal martial arts can be understood as a vehicle for discarding methods. I’ve been reading Tabby Cat’s blog irregularly and I noticed that he has been ranting against any other blog which describes or promotes a method which involves alignment, structure, or anatomical and physiological analysis. He even dismissed my reluctant post on the three big muscle groups, and hinted that I might be an Posture Nazi. What is this all about? 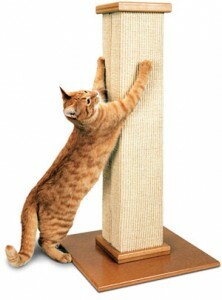 It seems our little Tabby wants to be like the uncarved block but just can’t seem to pull it off. His Taijiquan tradition is all gush, gush about Ben Lo, and gushy, gushy about Ben’s teacher Chen Man-Ching (the "Professor"), and, of course, ultra gushy wushy about Chen’s teacher, Yang Chenfu. All that gushing is a form of Shamanism. I define Shamanism as: Making contracts or alliances with powerful unseen entities in the hope that one will acquire that entity’s powers. A word to the wise, do not get in the way of other people’s contracts with unseen forces. In that school there isn’t much teaching. There isn’t much attempt to create methods which will help people develop. There is an emphasis on relaxing. Do the form a lot, get the postures just the way you’re told, with out explication or modification. If you lose a bout of push-hands to a senior student, it is because you aren’t relaxed enough. Now, honestly, there is nothing wrong with discarding methods. --Remember the uncarved block! Taijiquan really can be practiced as a revealing of our true nature without any inquiry or experiment. Heck, who needs the form? Who needs a teacher? Just stop carving! Stop making and measuring, stop calculating and stop seeing everything as a method! I concur! Readers may be thinking, oh, yeah, I could move to a cabin in the Montana wilderness and live a life of quietude and leisure and then my every movement would become Taijiquan, right? Maybe. Maybe not. If it isn’t working for you right here, it isn’t all that likely to work for you out there either. But so what? Wuwei is the idea that a return to simplicity is always an option. Always a possibility. Everywhere. Always. The moment I start writing a blog post, or you start reading one, the danger that we will lose sight of wuwei increases. Because reading and writing is a form of carving. The moment we put pen to paper we risk crossing over into the land of methods. Does embracing a method mean we have lost sight of wuwei? Maybe, maybe not. This is one of the essential questions the Daodejing asks. Some people have translated Dao-De-Jing as "The Classic of the Way and It’s Power” (Dao=way, De=power, Jing=text) meaning that it is a book of ultimate methods. But Dao and De resist definition. We could say there are Dao style methodless-methods, and De style methods which perfect us back toward simplicity. The two together are one, Daode. Our true nature is without limits. Sometimes we go into survival mode and make contracts with the unseen world in hope of getting an advantage, a leg up, or accumulating power (Shamanism). Other times we are content to explore, inquire, and experiment--wandering at ease (De). And sometimes we find ourselves without an agenda at all (Dao). These three categories of human experience, Shamanism, De, and Dao, are practiced to some extent by all humans. If Tabby Cat ever stops scratching his post and decides to come down from his anonymity and share a bowl of milk with me--we might find ourselves together with no agenda. (Yes, I’m offering!) He certainly makes a habit in his blog of purring in the direction of methodless-methods: “Just Rrrrrelax, it’s just Mmmmind, nothing but Eeeeenergy.” But then he hits himself with his own bludgeon. He goes to Ashtanga Yoga for alignment, and thinks Boxing is the perfect method for learning to hit. Au contraire my fair kitty, I surmise from this that he has become trapped in a method. He believes that Taijiquan works through using sensitivity to find an opponent’s weakness and channeling energy/power effortlessly up from the ground to uproot his opponent. This is a perfect description of a water woman reverting to an ice woman. This would also explain why he thinks he can’t hit someone using Taijiquan. At that level he gets some power from weakness, but using sensitivity for power and advantage is a form of aggression which will block further fruition. 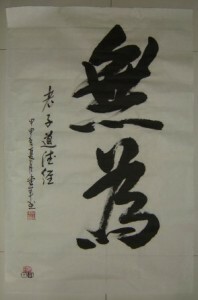 Power (jin) and energy (qi) have limits, weakness has none.